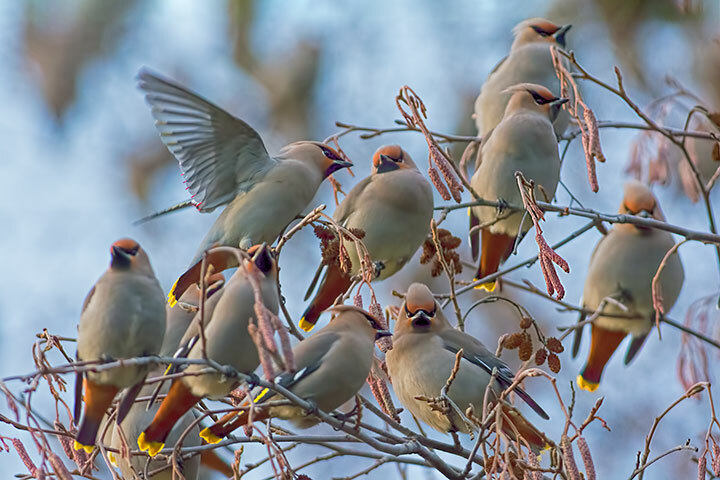 When a flock of perhaps two hundred Bohemian Waxwings disturbs one’s nap, you know you have been invaded. 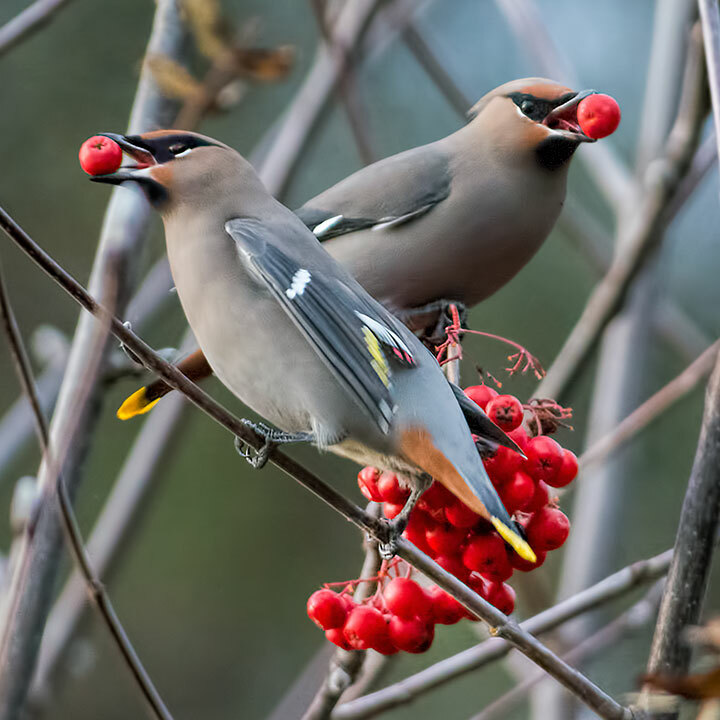 The Bohemian Waxwings used an alder as a staging area from which they repeatedly flew about four metres to a rowan tree (mountain ash). 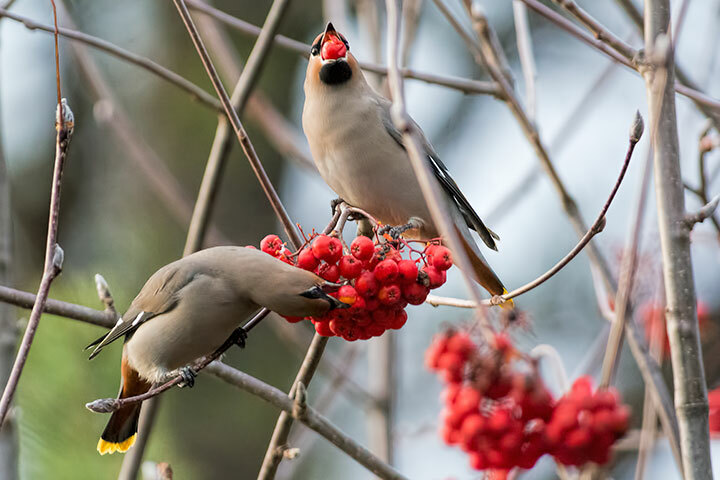 This picture only hints at the many waxwings weighing down the alder branches. 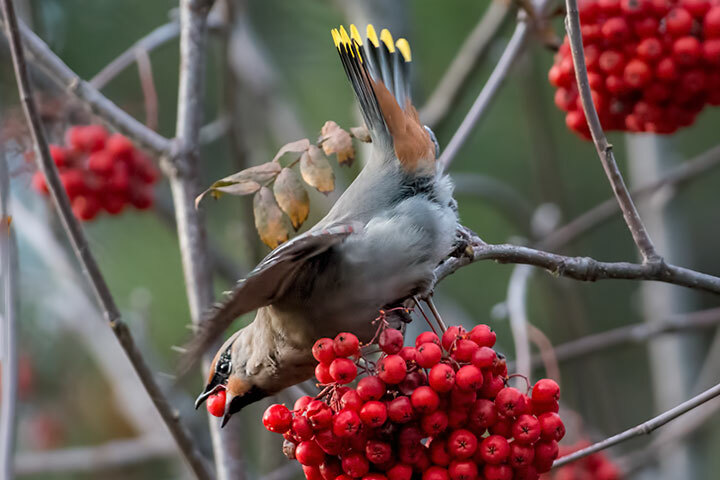 The objects of their attentions were the nearby rowan berries, to which they flew in waves. 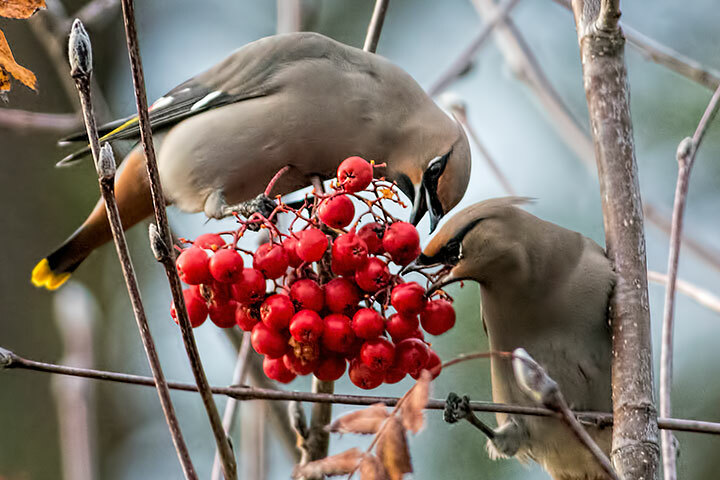 They attacked the berries vociferously. They underwent contortions to grab them from any unlikely perch. 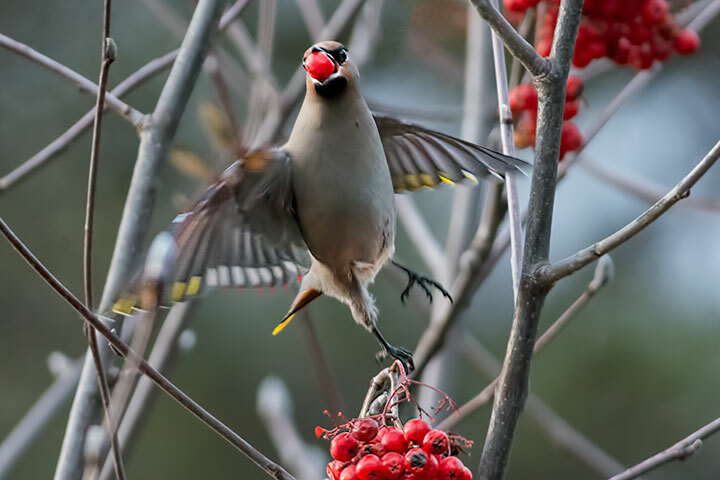 My favourite shot was this one of crossed waxwings, each with its prize. 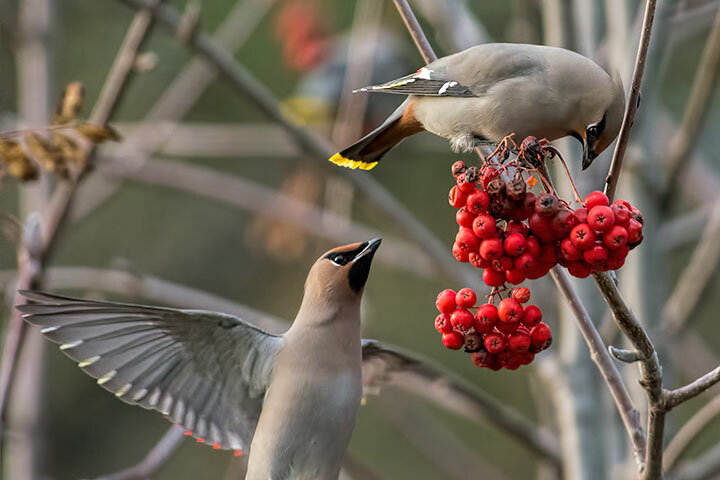 Superb, composition and subject combine well for excellent images from an accomplished photographer.Thank you for capturing them.